Fans of The Clone Wars will recognize the name Kilian Plunkett as the lead character designer of that series, and who is now bringing his talents over to Star Wars Rebels. 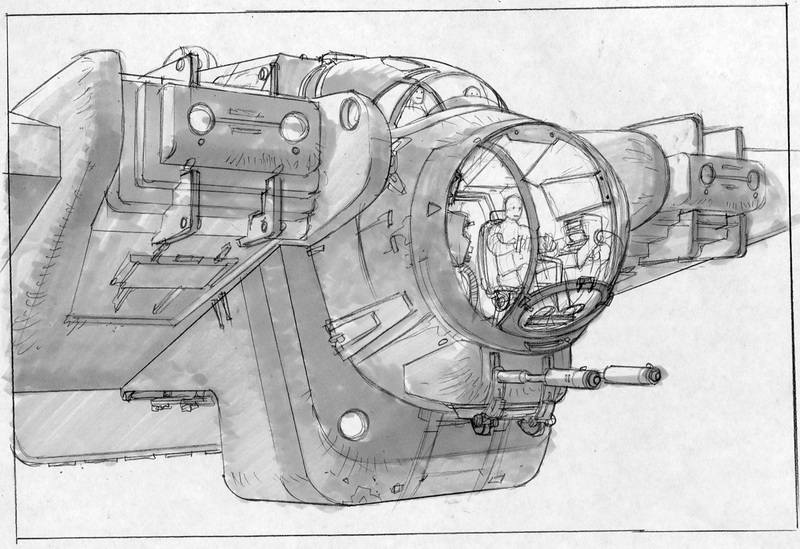 Well today the official Star Wars Tumblr page gave us a small treat, as it has posted a new image of one of Kilian Plunkett’s concept drawings for the shows main new ship, the Ghost. The concept drawing of the Ghost gives us a nice look at both the exterior and interior of the ship, and is just wetting our appetite even more for new Star Wars Rebels images to be released in the near future.